We celebrate our birthdays and anniversaries every year to mark the successful completion, it is an event of celebration. You know what, the celebration should apply for the professional life too. Corporates have certain vision and mission and several targets to be achieved. With the help of employees, clients and customers, companies are able to gain the success and revenue they desire. Thus completing a year indeed calls for a corporate anniversary celebration, as it is a chance to thank the people who are involved in the success and to celebrate the milestone. One should not miss the excellent opportunity to remind and revise the purpose and the vision of the company, one can revisit the journey from the inception and how they reached to the current status. We can be eccentric and crazy for our personal celebrations. However, while celebrating the corporate anniversary one needs to have a decent outlet to celebrate the joyous occasion. Before moving to the office anniversary party ideas, there are some things one has to take care of while planning a company anniversary. However, it is a time to party and have a celebration, but one should not miss the opportunity to communicate important information like the strategic messages of the future plan. Announce the new initiatives that you are planning to take. Address the people that what best you can offer and how you stand out of crowd. The anniversary celebration always grabs media attention; a little mishap will come in eyes of media and will cause negative publicity. Hence, plan all the things in very detail so that nothing goes wrong. The content of the speech or presentation should be engaging and capture the attention of stakeholders, customers and prospective customers. Having a party once a year and later dull days will be wrong thing to do. Corporate anniversary is a chance to plan out other occasions and parties one can have through out the year. Involve employees in decision making so that you know what employees want to have fun. You can set up a suggestion box for the employees and try to inculcate few, which feel suitable. One may think of reframing the logo by incorporating a new tagline and make several changes in the logo. However, it should not be forgotten that logo is the identity of the brand, and tweaking it a lot will tarnish the identity and thereby harming the brand. Hence, try to incorporate original logo and avoid making many changes. Having a huge party will cost a lot, but it should be remembered that it is an event, if carefully planned will increase the employee satisfaction and engagement. In addition, prospective customers may turn into clients. Thus, the money spent will be compensated soon. Hence have a proper and sufficient funds set aside for corporate anniversary. Here are 20 different and unique ideas, which one can follow to celebrate the anniversary in vigor. Employees make the company and play an integral role in the success of the company. Thus thanking them with a suitable gesture on an anniversary is a great idea. Make it a yearly tradition and host a party where your employees can relax and have fun. Treat them with good food, entertainment and fun. With work pressure and deadlines throughout the year, people hardly get time to socialize and get to know each other; a yearly party can help to reveal the fun part of everyone. It is an opportunity to bond well to employees. It improves employee- employee and employee- employer relation. A small presentation about the target achievements and milestones reached. In addition, a brief discussion about the future plans can be done. Managing director and the overall management can give motivating and thanking speech as a way to connect to the employees. If one feels to have a low-key party rather than throwing a party at a swanky place, then ordering a cake for the staff is also a good way to mark the celebration. In house, celebration can also be a sweet and simple gesture to celebrate. Make changes in your logo and tagline. 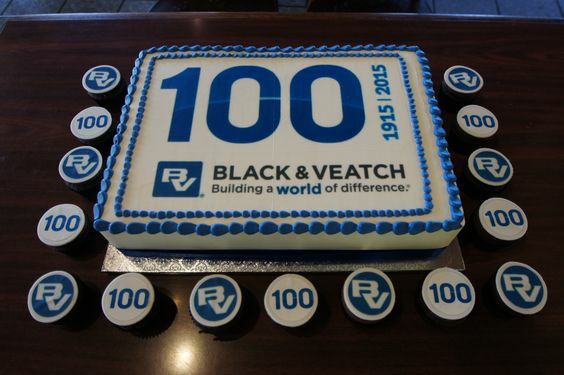 Something like ’100 years of excellence’ or ‘celebrating 100 years of success’ can prove to be an impactful tagline and advertises the milestone you reached. Include the new logo with new tagline on the company stationary, website, email signatures, catalogs and so on. It is an excellent way to do the branding. Send a thank you note in an anniversary card to your employees, prospects, clients and key customers. One can also add a gift like customized calendar, coffee mug or can send chocolates. A small gesture helps to strengthen the bond and also a good way to appreciate the people who help you. With the advent of social media marketing, companies are taking extra efforts to show off the events and celebrations they have at workplace. It is a way to do the company branding and let know about the company and the company culture to the people. Announcing the anniversary and the celebration pictures on social media like LinkedIn, Facebook and twitter, will help spread the news to masses. Apart from digital space, do not forget the traditional form of publicizing and advertising. Announce about the anniversary in newspaper and trade magazines. A small brief about the growth and the future plans can help the company to gain prospects. One has to start planning for the anniversary, months before the said date; one can gather the feedback from clients and key customers, also from the employees who are employed since 5- 10 years. Also, gather the data like achievements and milestones achieved year on year. A brief about the revenue growth and growth in terms of employee strength can also be jotted down. This gathered information can be presented in an attractive format and send to all on emails. The same thing can be displayed on bulletin boards or on internal portal. A part of it can be used for publishing it in social media. People capture visual data much more easily than mere words. Creating a video comprising of company growth, notable events, milestones, testimonials, awards and profits can prove to be an interesting way to market your company and thereby helping in branding. The employees and clients will be reminded of the history and the vision and they will feel a sense of pride for being associated with a respected organization. Take efforts to make the video go viral, it will be a useful tool to turn the prospects into customers. Anniversary need not necessarily be turned as a marketing powerhouse; one can associate with a non-profit organization and donate funds or other useful stuff to mark the anniversary. It can also be termed as corporate social responsibility. One can have a quiz on company history or some other contest pertaining to the industry knowledge and have exciting prizes for the same. Employees can be asked to mention a fond memory or experience of working with the company and the best entry will get the prize. Employees can be asked to write well wishes and notes for future employees. If it is a 5-year anniversary, you can open the time capsule post 5 years. It is a fun activity that does not cost much and a good way to engage employees. Employees can bring their family members to work and make them familiar with the workplace. It is a chance for the families to meet the co-workers, bosses and to know organization as a whole. Arrange good food and entertainment and the day will be memorable for the employee and their family. A nice cozy spot, close to nature can prove to be a good place to frolic and have fun. Barbeque and some nice music will help employees relax. Not only employees but also the clients and key customers can also be invited to join the fun. Employees can serve the community who is need. Teaching under privileged kids, providing them help in terms of money, food and clothes can make employees feel good. It will be change from the typical work and will provide help to the needy on a day of corporate anniversary. Company can organize special sale of their products at a discounted prices. If it is an e-commerce website then a discount on all the products can be a real celebration for the customers and a way to boost sales. Corporates can also design some anniversary special stuff, which will be sold on the anniversary day itself. Corporate anniversary day can also prove to be a good day to launch a new product in the market. One can install banner and posters on occasion of corporate anniversary. Ask employees to decorate their cubicle the way they want. It is a good activity, which can make workplace a quirky twist, and people can have enjoyable time. Post the anniversary, you can also arrange a contest to re-design the logo, the best entry will win some exciting prizes like paid leaves, movie tickets or shopping coupons. With rise in global warming, taking care of environment and nature is not a choice but an obligation. One can have a tree plantation day on corporate anniversary; doing a good deed will give a feel good factor to employees, clients and the other people involved. Order customized mugs, pens, t-shirts, bags with a company logo and a tagline demonstrating the years of success. It is a small token, which will market and publicize the anniversary. Things like this will often be used by people, as they are utility products. Imagine a person carrying a bag with company’s logo everywhere he goes, it is like a free publicity. Corporates often sponsor events like concerts, dance programs and other entertaining events. It is a chance to connect to all sorts of population. Corporates can invite clients and address them on the future plans and the milestones they have been achieving since the inception. One should make a lasting impression on clients to have a continued relation with them. Current clients may give you few leads too. A cordial relationship with all goes a long way as a successful business depends upon the good relationships and connections in the industry. 4.Accounting does not make corporate earnings or balance sheets more volatile. Accounting just increases the transparency of volatility in earnings. 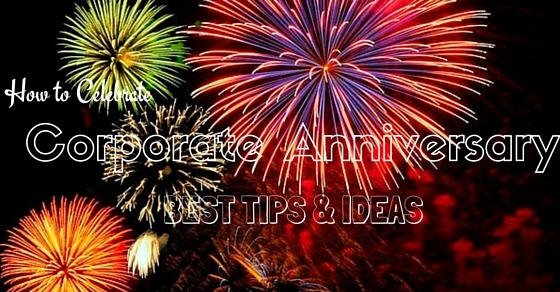 Thus, we have seen that there are several ways to celebrate the corporate anniversary. One need not necessarily spend lots of money. A bit of creativity can make the event memorable and a big hit. It should be remembered that, anniversary marks the continued efforts and association of the key employees, clients, customers and stakeholders. With absence of any one of those, organizations cannot stand. Make sure you are taking wise steps to publicize the anniversary on social media. So what are you waiting for, now that you have number of business anniversary celebration ideas, go and implement the one you like and feel to be suitable. In case you have any other impressive and unique idea, please share.